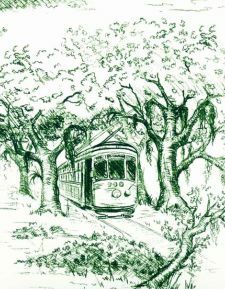 anyone who has ever visited the charming, creaky, iconoclastic city of new orleans never leaves without a vivid memory of the place, and truly knows what it means to miss it. actor, entrepreneur (and fellow tulane alum!) 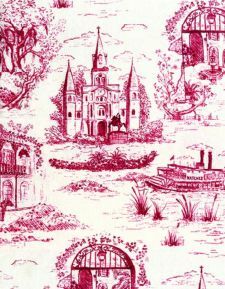 bryan batt has designed a lovely toile fabric featuring iconic vieux carre and garden district images instead of the traditional french imagery. it’s a cotton linen blend and comes in 5 colorways, and is produced on items like memo boards, pillows and trays, if you don’t have a chair in need of reupholstery. i can see the oaks and smell the beignets from here when i look at this. find the fabric and other treasures in person or online at hazelnut, his charming shop in uptown. Hey, I know him! Fellow Tulane grad here. 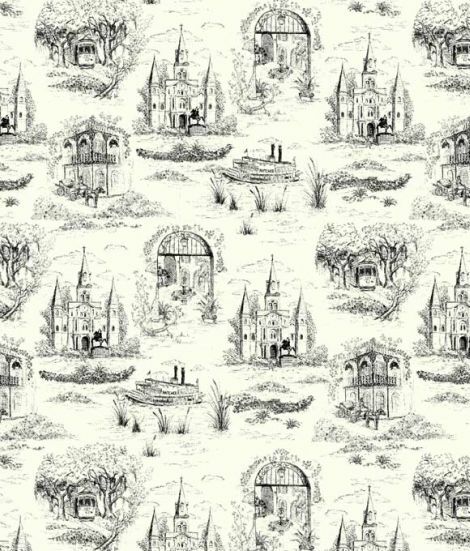 elli, it’s called new orleans toile and you can see more of it by clicking on the link in the article above.